Thailand is famous for its delicious cuisine and it has spread far and wide with people all across the world enjoying Thai food. Thai food is mainly made up of five elements which are sour, sweet, salty, bitter, and spicy. The Southern part of the country is known for being more spicier than the North, but don’t worry if you can’t handle the heat, you can always ask for ‘not spicy’ or any of the other non spicy dishes on the menu. Some of the best places to experience hai food on Koh Phangan are the smaller more local restaurants. Look for plastic chairs or bamboo tables and although it may not look that much, these are the places with the most genuine food and usually run by local families. If you want some more high end Thai cuisine then this is also available and also really good to try and still at reasonable prices, Phangan Cove is one of our favourites! Going to the markets on the island will also give you an array of different dishes and snacks to try, makes sure you go hungry! Thong Sala food market is open every day and many people go there for their lunches or to just grab a quick snack on the move. The Saturday Walking Street Market also offers many Thai snack to try as well as other stalls. Koh Phangan is becoming a bit of a haven for vegan and vegetarian food nowadays, head to Sri Thanu and you will find plenty of vegan restaurants which serve food that even meat eaters can enjoy like kebabs and burgers but completely meat and dairy free, honestly they’re worth a try! If you want to be healthy or stick to your preferred choice of diet then do not be worried about it on Koh Phangan. There is a huge healthy community and most people are conscious of what they eat so you can eat out without compromising your way of life. But also...you may be on holiday and want to treat yourself or you just fancy a good old pizza or home comfort. These you can also find here! If you’re staying in Haad Rin for Full Moon then you will notice that chicken corner is where a lot of travellers are picking up some food and the whole town itself has lots of different restaurants from good quality cuisine to quick snacks and takeaways. 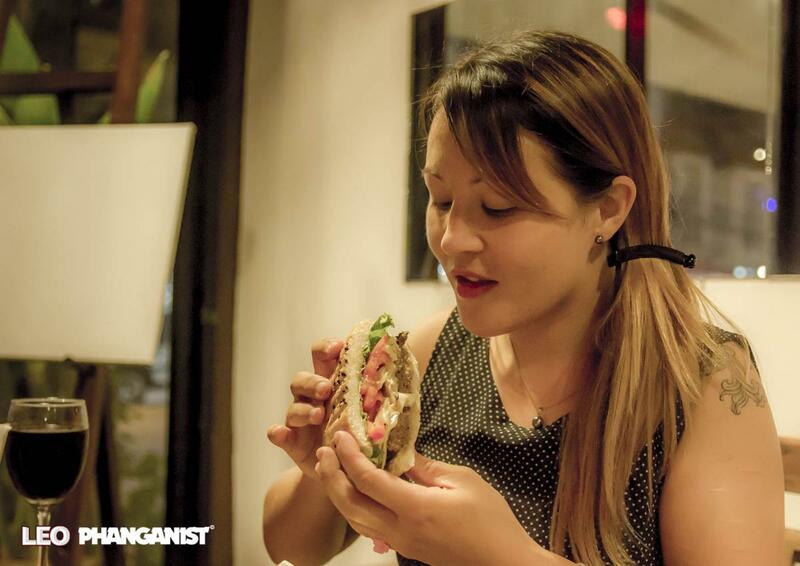 Phangan has seen a lot of new burger restaurants open over the last few years, from artisan burger restaurants to more simple place, if you try a few of them then you are sure to find your favourite. Although not the healthiest of choices there seems to be quite a ‘thing’ for finding the best burger around here and Koh Phangan has some good ones for sure. Pizza is also popular and some of the Italian expat community have opened restaurants here so you can be sure it will be made well and with love. There are also non Italian’s making just as good pizza also. Wherever you are from you will more than likely be able to find a nice taste of home here on the island. Home cooked European style, sushi, French cuisine, hummus and falafel, Mexican and more, Phangan offers you a very wide choice of Western food on such a small island. And we must mention the fish! Of course being an island this means that you can find some of the freshest fish here. Chaloklum has some lovely small restaurants and it is the main fishing village of the island and then Infinity Beach Club has its ‘Big Fish’ restaurant serving beautiful fresh seafood and also delicious sushi! 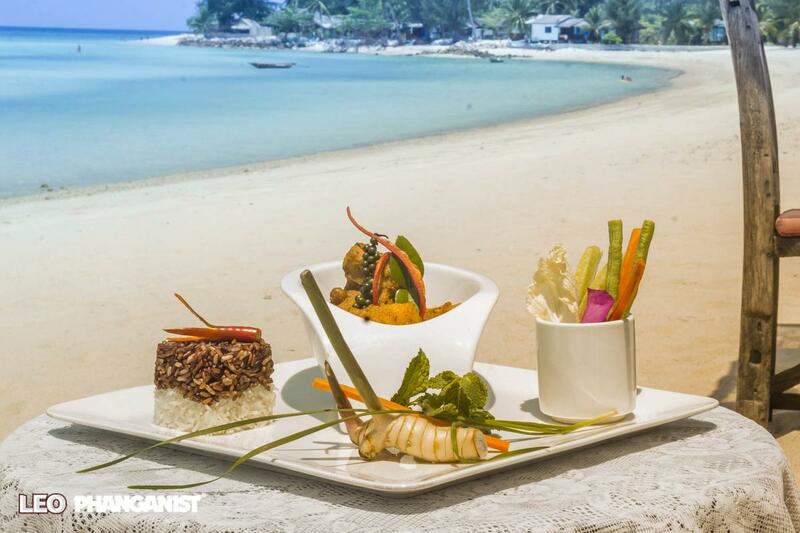 Whatever your tastes or diet you are sure to find plenty of options for food on Koh Phangan. Tasty Pad Thai from the Real Phanganist! One of the best things while travelling is the food!